It's March 31st and we are at the end of Women's History Month 2015. 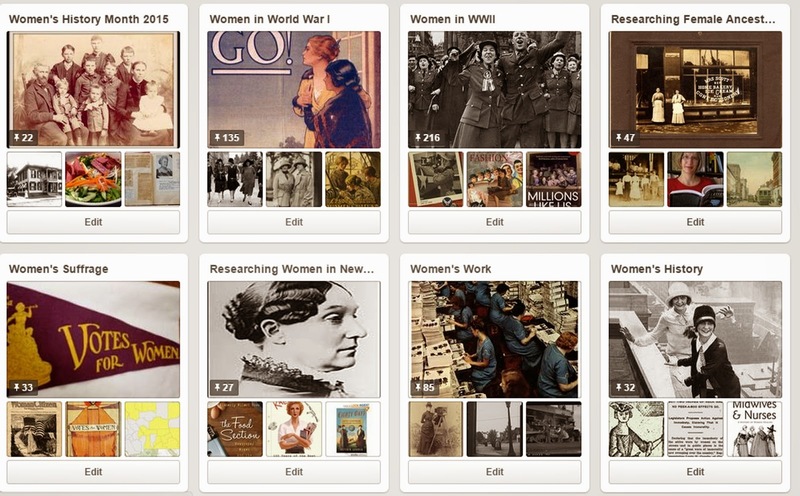 Over 31 days of different resources for researching female ancestors. But that's just a small amount compared to all the different sources, repositories, and methodology you could incorporate into your family history. 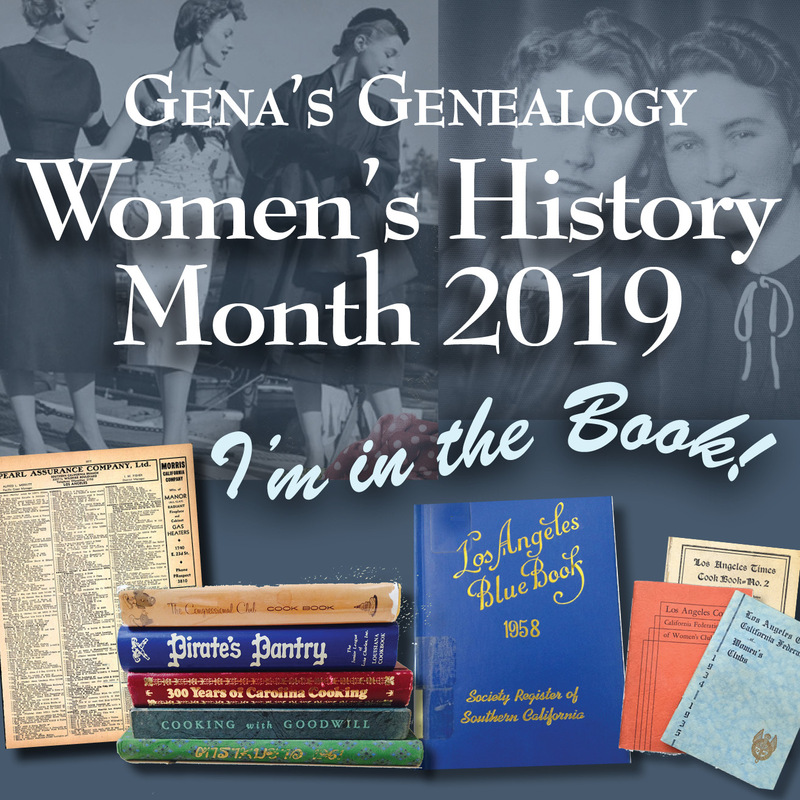 So want some more resources for researching your female ancestors? Here's some Pinterest boards to get you started. 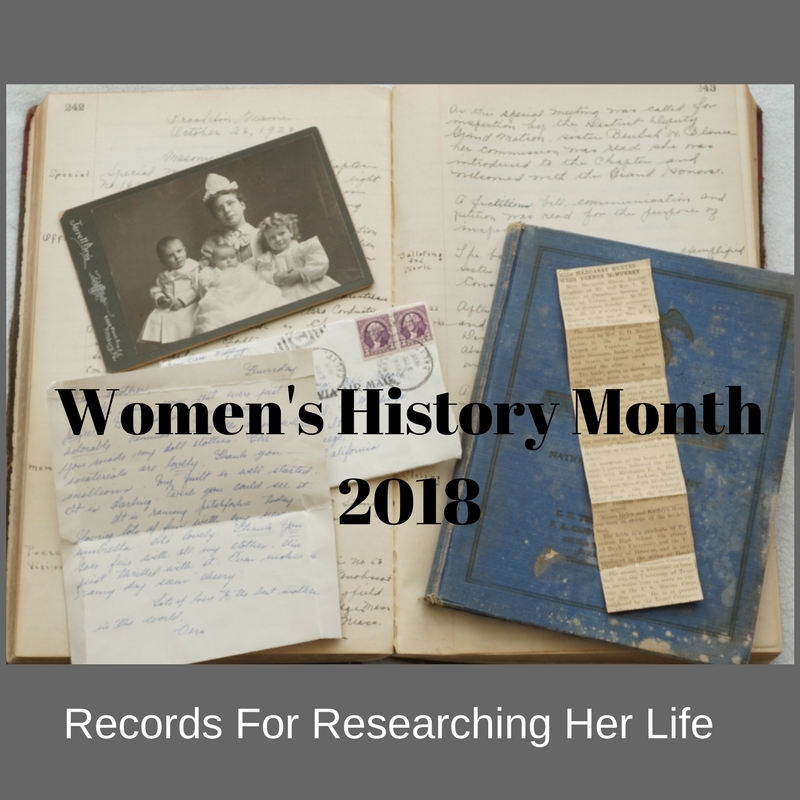 Look for the links, to the right side of this blog, for posts from past Women's History Months. Good luck with your research and enjoy your discoveries!